Although the weather so far this winter has been pretty mild I’ve still felt the need to ramp up my skincare routine to compensate for the wind, changes in temperature and home heating. These three can play havoc with my skin so I tend to use more moisturising products that will help prepare and protect it at this time of the year. 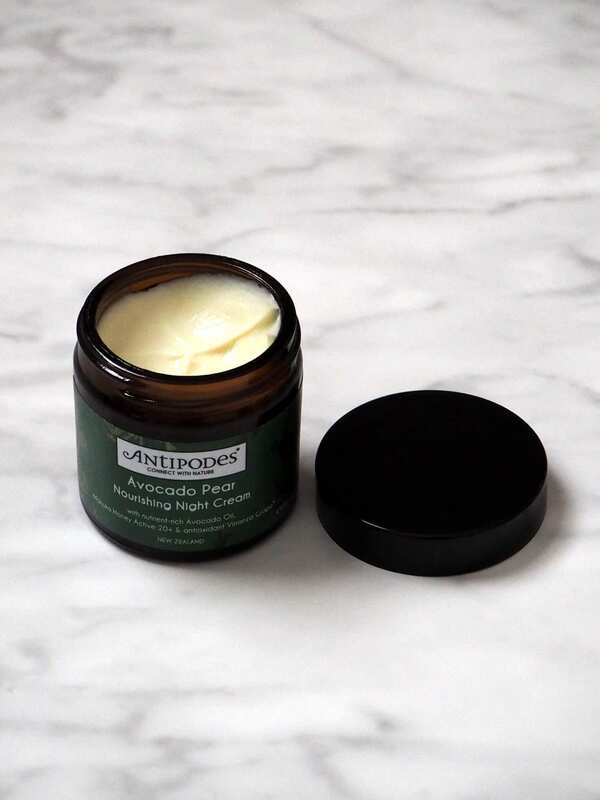 Earlier this year I discovered a new skincare brand called Antipodes (back in May I wrote a post about their Aura Manuka Honey Mask). 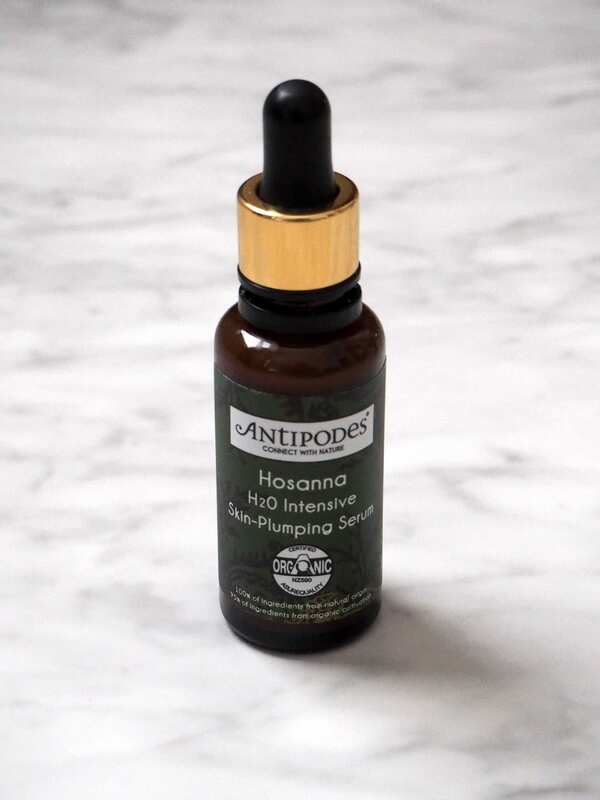 If, like me, you’re a fan of Aesop you are going to love Antipodes too. The products are made with bioactive plant ingredients and are certified organic and approved for vegetarians. 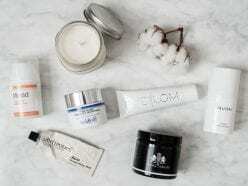 I love using their rich moisturising mask so I thought they might be a good place to start when looking for products that would be deeply moisturising and without any nasties. Once again I’ve been very impressed. Serums might mean another step in your skincare routine but I can assure you it’s not one you’ll regret. This is my favourite of the four products I tried, the results were instantaneous. It does exactly what it says it will, my skin felt plumped from the first use. It has a nice texture and is absorped very fast. This moisturiser is actually a lot richer than I was expecting from the name but again it’s quickly absorped. A little goes along way, it spreads easily. Carry this one around in your bag for a moisture hit during the day. 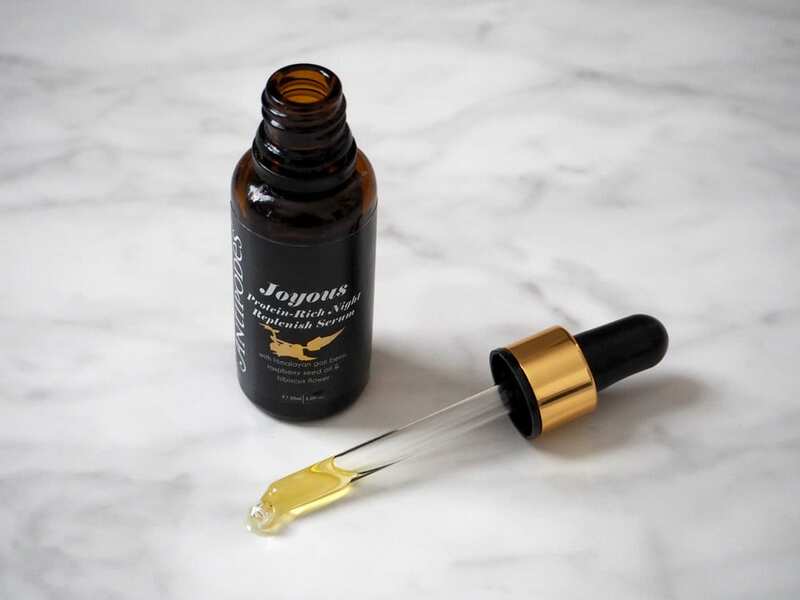 The Joyous night serum is a lot more oily than the Skin-Plumping serum. It’s actually more of a rich and luscious oil. After your evening cleanse, pat this over your face avoiding your eyes. 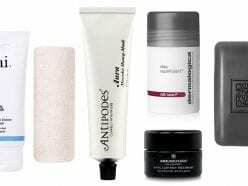 Give it a few minutes and then use the next product or your favourite night cream. 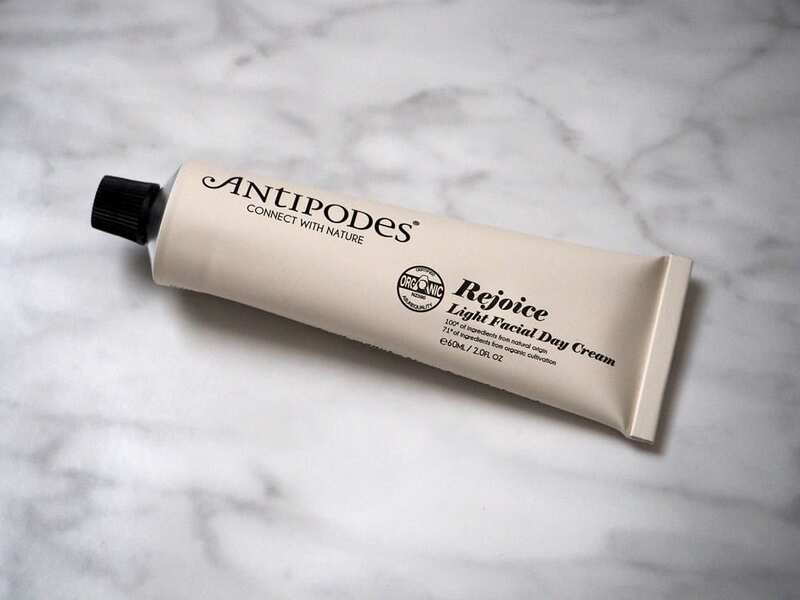 Antipodes’ Nourishing Night Cream has a slightly unusal but not unpleasant scent. It’s super rich and has been doing great things to my skin overnight. I wake up without fearing what I’ll find in the mirror. My skin has been well nourished and appears a lot more even in texture and tone.